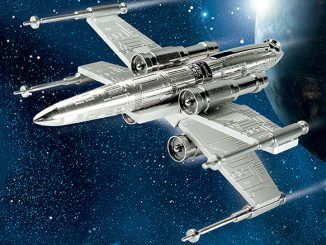 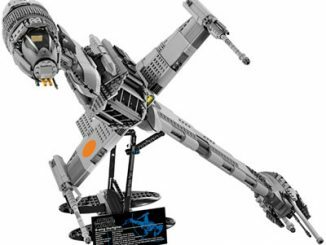 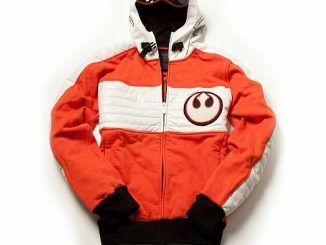 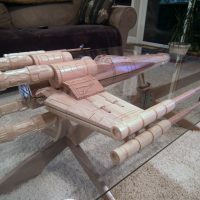 As you can see from the pictures, all the fine X-wing details were included on the upper and lower half of the ship. 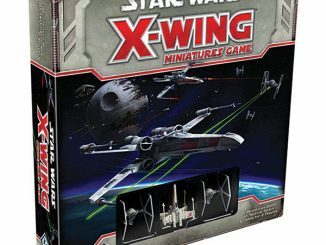 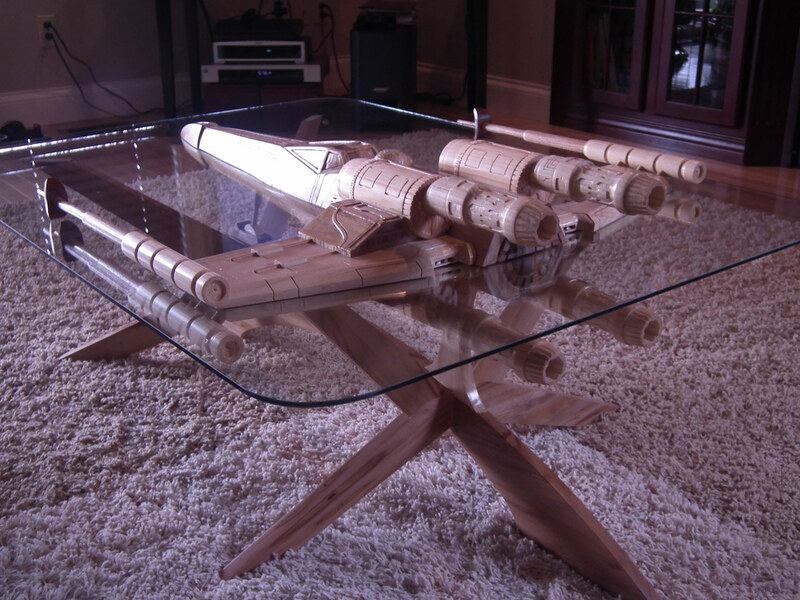 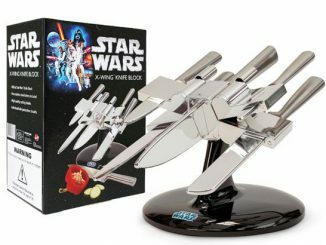 The front of the table has 3 points of support contact with the glass and the upper and lower sections of the X-wing are actually bolted together, firmly holding the glass table in place. 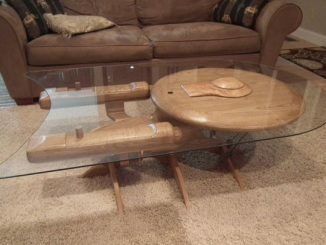 The ship and base are made from poplar, pine and black walnut wood. 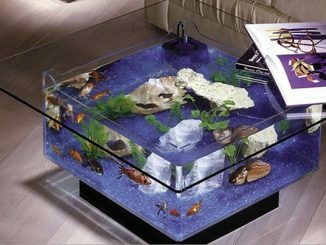 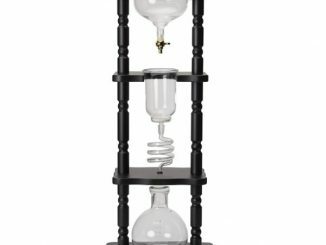 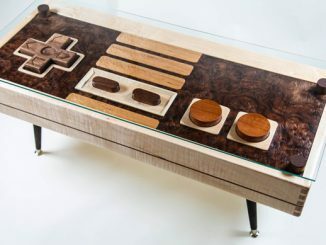 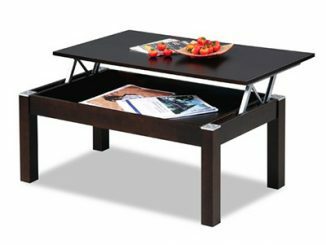 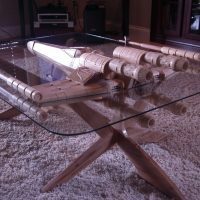 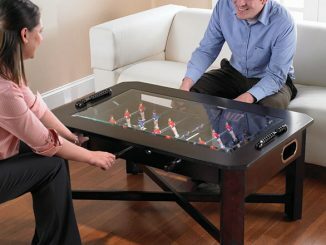 The table will be featured on Barry’s website and I imagine it will sell fast. 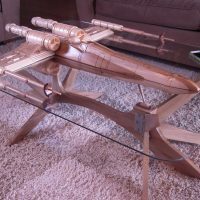 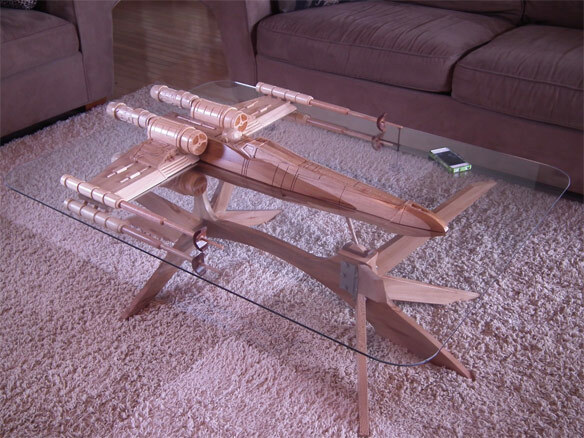 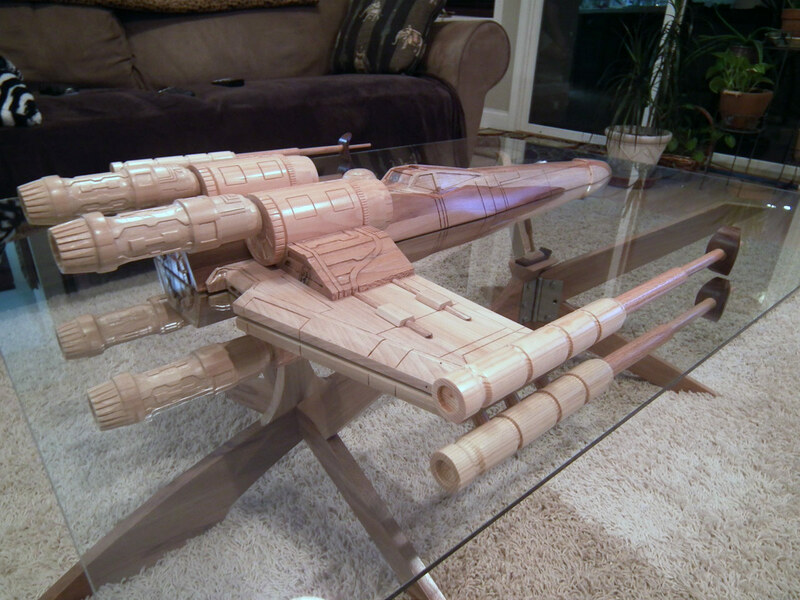 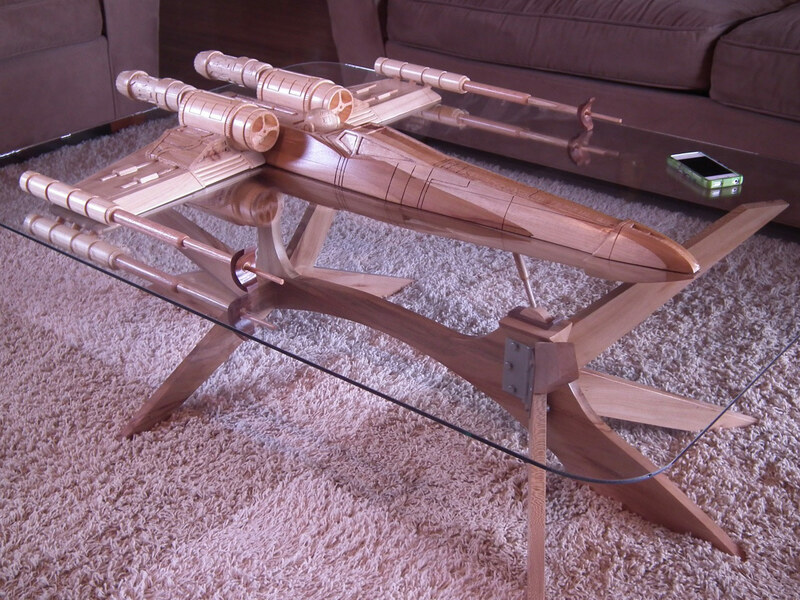 If you are interested in purchasing this one of a kind X-Wing coffee table, you can contact him through his site.